Our one of a kind mortgage mailers breed response by targeting credit driven data you select. They are completely customizable from the text to the images and pictures. By using our market tested mailers your phone lines will ring off the hook with interested prospects. We send all mortgage mailers to homeowners based on credit driven criteria you select. We use quality information directly from the source because we want you to be able to do business with people who respond. We then use homeowner data such as lender name, loan amount, ARM Recast date, etc. 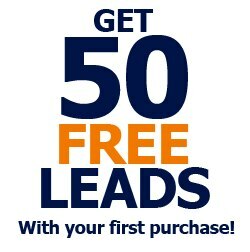 within the mailer to gain the prospects trust. Your mortgage mailer is 100% customized for your specific strategy, competitive advantages, brand and company. We have developed various mortgage mailers that currently out perform the competition by targeting a specific type of borrower. Increase your business with a targeted ARM, FHA, or Reverse Mortgage Mailer today! Upgrade your mailer with our Rush Priority Mail envelopes that entice the homeowner to open and read the enclosed mortgage letter. Our envelopes and snap paks look like official packages which costs several dollars to ship. Using Best Rate Mortgage Direct Mail Services is as easy as 1-2-3. Simply choose your target audience, select your mortgage mailing package and copy, then we send your mailing out for final approval and production. Your mailing is sent within 3-7 business days after mailer approval. Our mortgage letters are completely customizable and can be mailed with the standard #10 window envelope included free of charge or you can upgrade your mailing to a custom envelope or snap pak. See below for more details. Our clients have had huge success with our Adjustable Rate Mortgage Mailer. This mailer prompts response by using data and mortgage payment increases based on the homeowner's loan. This mailer also includes attention grabbing photographs along with testimonials that build trust and re-enforce your message of refinancing into a fixed rate loan. Our ARM Mailer is the perfect choice when targeting homeowners with loans about to adjust. If you do not already have a targeted ARM mailing list for your mailer, our team of marketing professionals will assist you in establishing what list criteria will work best for you. We also provide suggested letters which have produced great results or you can provide us with a letter of your choice. The Reverse Mortgage Mailer targets homeowners over age 62 and gives the look and feel of a official document regarding a FHA Home Benefit Program. This mailer explains the benefits of a reverse mortgage as well as why they should call you to see what their exact benefits will be. Our Reverse Mortgage mailer is the top choice among reverse mortgage specialists and produces great responses from homeowners over the age of 62. If you do not already have a targeted mailing list for your mailer, our team of marketing professionals will assist you in establishing what list criteria will work best for you. You may also incorporate company logos and images into your mailer to build trust and credibility. The FHA Streamline Mortgage Mailer is the newest mailer to our product line. With FHA rates low it makes it easier then ever to target and refinance a homeowner currently in a FHA loan. This mailer gains trust by showing the homeowner exact savings based on their situation as well as providing information about what an FHA Streamline is. Our FHA Streamline Mailer is the top choice among FHA Approved Brokers and provides a high response rate. If you do not already have a targeted list of FHA homeowners with high interest rates, our team of marketing professionals will assist you in establishing what list criteria will work best for you. Customize your very own mortgage mailer! Our production team and group of graphic designers will assist you in developing a unique mailer for your specific needs. Increase your response by adding your picture, testimonials from past clients, specific information regarding the homeowners financial situation or loan, or anything else that will entice the homeowner to pick up the phone and call you. Target Audience - We will assist you in establishing what list criteria will work best for you. Once we send your mailer to your list we will never double mail these homeowners with a competitor's mailer. Customized Content - We have suggested letters which have produced great results or you can provide us with a letter of your choice. You may also incorporate company logos and images into your mailer at no extra charge. Call 866-314-7586 for more details. All of our mortgage mailers include a standard #10 one window envelope free of charge, however you can upgrade your envelope for an additional charge. The Rush Priority Mail envelope is an attractive envelope that looks like an official document from someone important...YOU! This envelope has proven to have the best open ratio among all of the full color envelopes available today. Our Urgent Letter Enclosed envelope is a full color windowed envelope designed to look like an official envelope from the post office. Our clients have seen as high as a 50% increase in open rates when using a full color envelope compared to a standard one color windowed envelope. Snap-Pak mailers are self-contained mailers with perforated edges. You can print any letter on the inside or just black and white text. Our full color Rush Priority Mail Snap Pak is a one of a kind for the mortgage industry. This unique snap pak can yield as high as response rates as our 6x9 envelope due to it's official look and feel. If you want your mortgage letter to be opened and read, we recommend the full color Snap Paks for any campaign.